Airmen from the 366th Equipment Maintenance Squadron detach an F-35A Lightning II from a crane Nov. 2, 2017, at Mountain Home Air Force Base, Idaho. 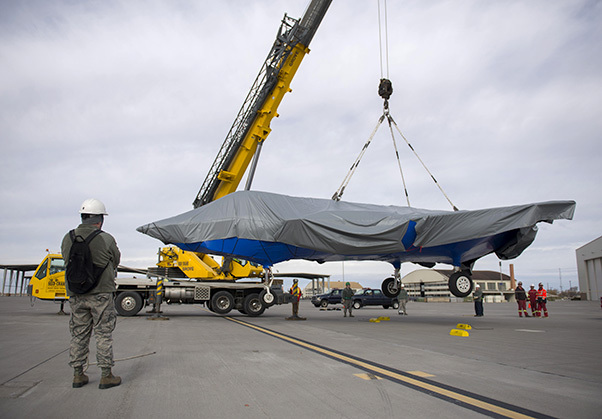 The aircraft was transported from Mountain Home to the F-35 depot at Hill AFB, Utah, for repairs. An F-35A Lightning II belonging to Luke Air Force Base, Ariz. was moved for repairs after being grounded here for the past year. 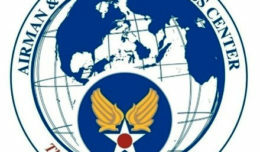 The aircraft was moved to the F-35 Depot at Hill AFB, Utah, with the help of the 366th Equipment Maintenance Squadron crash and recovery team. The organization for the move started in April of this year, where delegated tasks ranged from assisting with route and site surveys, to the actual lifting of the aircraft on to the specialized trailer used for transport. An F-35A Lightning II is prepared for transport Nov. 2, 2017, at Mountain Home Air Force Base, Idaho. The aircraft was transported from Mountain Home to the F-35 depot at Hill AFB, Utah, for repairs. 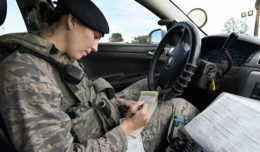 “The coordination took several months due to the multitude of agencies involved, the distance and terrain in which this asset would have to travel,” said Dale Fox, 366th Logistics Readiness distribution manager. Previously, a lift like this was only performed by the engineers at Lockheed Martin. Contractors from Mammoet transportation prepare their vehicle to transport an F-35A Lightning II Nov. 2, 2017, at Mountain Home Air Force Base, Idaho. 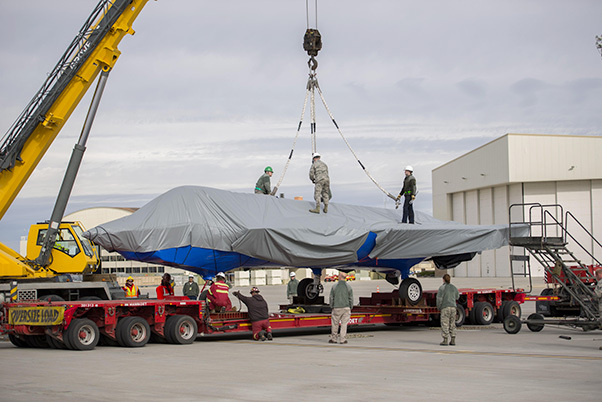 The aircraft was transported from Mountain Home to the F-35 depot at Hill AFB, Utah, for repairs. The main concern was getting the aircraft to Hill’s F-35 depot with no more damage than it already sustained. According to Fox, the ultimate goal is to get it back to mission ready or use its parts in other aircrafts. Airmen from the 366th Equipment Maintenance Squadron hold an F-35A Lightning II in place Nov. 2, 2017, at Mountain Home Air Force Base, Idaho. 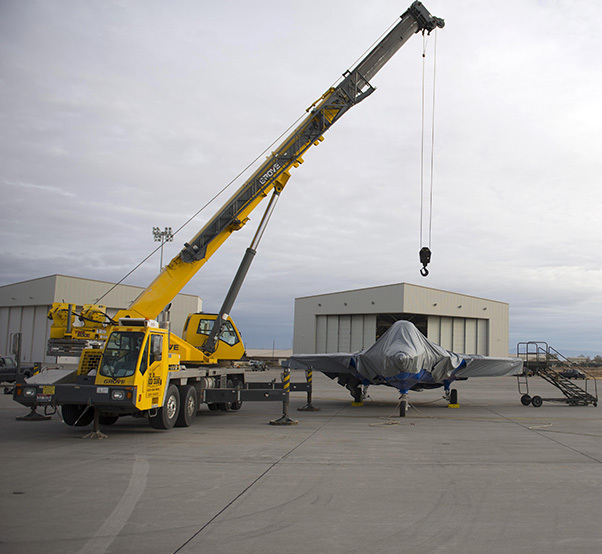 The aircraft was transported from Mountain Home to the F-35 depot at Hill AFB, Utah, for repairs.